Hogwarts' magic has gone beyond the big screen to touch the lives of the beloved actors in the Harry Potter saga. Although we would like to believe that the couples we see in the movies are real, offscreen, most of the stars have entirely different partners. Are you curious about the real pairs of our favorite actors? Then this is your lucky day because that is precisely what we will reveal in the article below. Despite his busy agenda fighting Voldemort and his lack of experience in romances, the star of the films managed to win the heart of the talented witch to the point that she eventually became his wife. In real life, Daniel Redcliffe is not that different from his character. The actor has dated some colleagues such as Laura O'Toole and Rosanne Coker. 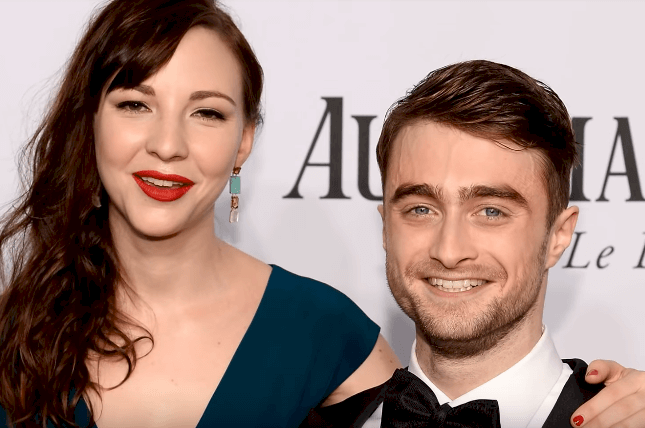 However, the actress who truly enchanted his heart was Erin Darke. The pair met while shooting Kill Your Darlings in 2012. About the moment he fell for her, Daniel confessed Erin made him laugh as him and not as his character. The sweet couple has been together for six years. On the other hand, the magic wedding between Harry and Genny might have inspired actress Bonnie Wright's boyfriend to propose in real life. In February 2010, the British girl confirmed a relationship with actor Jamie Campbell who had a part in The Deathly Hallows. However, the pair called off the wedding in June 2012. Maybe she was looking for a more mature and reliable man because Bonnie soon started seeing Simon Hammerstein, the 12-year-older owner of the nightclub The Box. Reports indicate they were still dating in 2015, but the current status is unknown. Everyone was waiting for the kiss between these two characters, so it was pleasing to witness it in the last installment of the saga. However, many other fans expected the smart girl to end up with Harry. 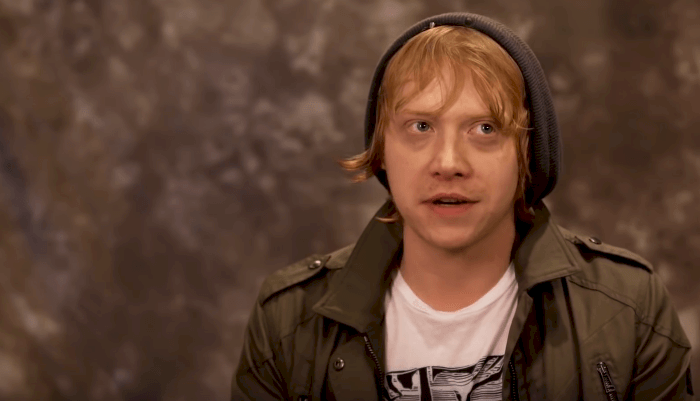 Surprisingly enough, both Daniel and Rupert confessed having had a crush on Emma, but those days are in the past. Rupert likes maintaining his romances low-key, so little is known about it. A long time ago, he dated English actress Georgia Groome, but his current status is unknown. The actor admitted that he enjoys being single and doesn't like chasing girls. Just as Ron, Emma Watson is very private with her life. Rumor has it that she has dated Mack Knight, Robert Pattinson, and even Prince Harry, but none of those speculations have been confirmed. However, the English actress once confessed that her first crush was on the set of Harry Potter with Tom Felton, aka Draco Malfoy. Even villains like these two have a heart, and perhaps that is why they ended up in love and with a child, but offscreen, the actors are not an item. Ralph Fiennes does have a nose in real life, so it was not hard for him to have some girls, but in unsuccessful relationships. 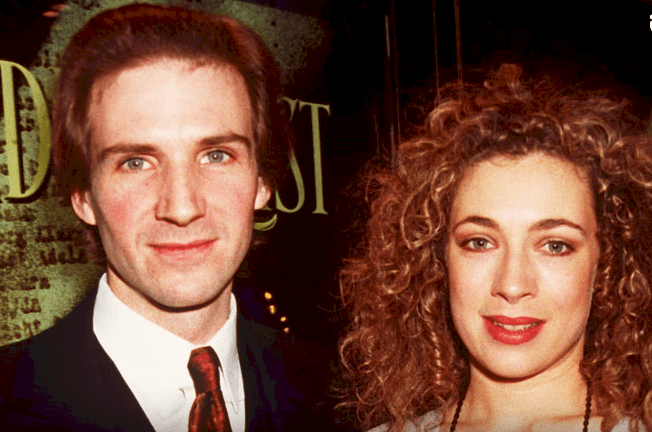 In 1993, he wedded his college sweetheart Alex Kingston. Four years later, Ralph left Alex for another woman, causing a broken heart and suicidal thoughts in the English actress. Ralph had cheated on her with a woman 18 years senior: Francesca Annis. Annis and Fiennes started a relationship, but it had the same gloomy fate 11 years later when they heralded their separation in 2006. Helena Bonham Carter is the face of Bellatrix who, surprisingly to many, had an affair with actor Kenneth Branagh while he was still married to Emma Thompson. The pair met in 1994 while filming Frankenstein and began a romance. But five years later, Helena and Kenneth called it quits. Perhaps, Helena's most notable relationship has been her marriage to director Tim Burton. The two were together for 13 years and raised two children, but four years ago, they announced their amicable breakup. The 52-year-old actress has now been spotted with actor Denis Lawson, but none of them have confirmed a relationship. Did you know that Luna once dated Harry's Potter father? Wait! Before you freak out, let us explain this better. Evanna Lynch, the Irish actress who portrayed the only child of Xenophilius and Pandora Lovegood, once dated actor Robbie Jarvis who represented a young James Potter. The actors were together for over a year until their split-up two years ago. 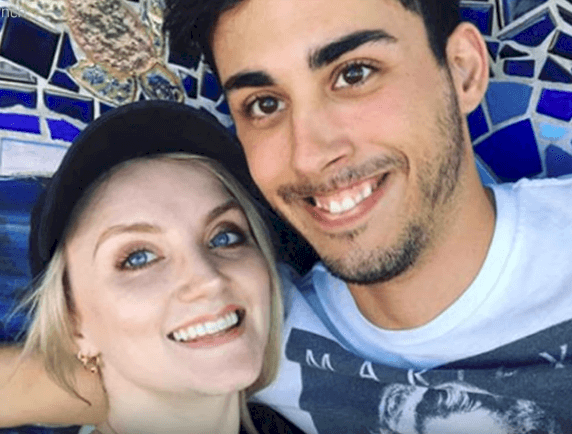 After recovering for that tough moment in her life, Evanna now has a new love to show off on her Instagram account: singer and songwriter AnDel. We will see if she is able to convince him to become vegan just as she did with Robbie. On the other hand, actor Matthew Lewis had a fairytale story, so sadly for girls, he is now out of the market. The actor met event planner and blogger Angela Jones during a Wizarding World of Harry Potter event, and it was love at first sight. Lewis proposed to her in Paris, and the couple tied the knots some months ago in Italy. The enemy of Harry, Ron, and Hermoine was not involved romantically with anyone until the last movie after Voldemort's death when we saw him standing next to his wife, Astoria, and his son. 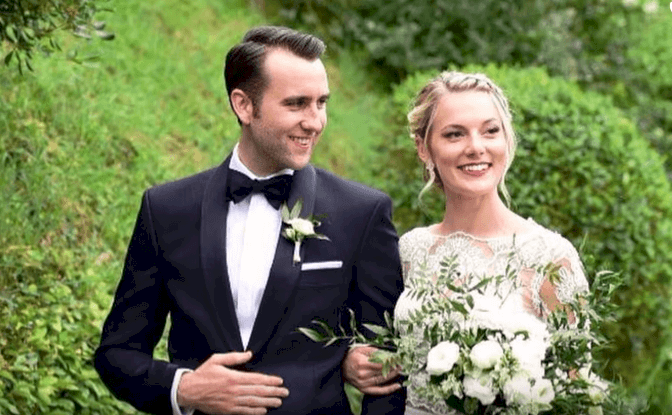 Much to our surprise, Tom Felton fell for his onstage wife, Jade Olivia Gordon. After an almost 8-year romance, the sweet couple parted ways two years ago. After that, Tom was caught on camera with a mysterious blonde woman at the beach, but that is all the information we've got. As for Jade, little is known about her love life, so she has not had any other relationships that we know of after the one with his colleague. We all adore these actors that brought to life our favorite characters. It was surprising to know who is dating who and other exciting details about their love matters. Which was your favorite couple? Let us know, but don't forget to share this article so others can find out as well. Until next time! It is no news that Prince Charles and Princess Diana's marriage was far from perfect. The two royals seem stuck in a loveless union until they eventually separated, and finalized their divorce in August 1996. The critics have finally been allowed to post their spoiler-free thoughts on 'Avengers: Endgame', and they will blow your mind. Let's find out what people had to say about the epic release! Most of the fuss Meghan has created apparently comes from the fact that the Queen gets quite upset when her family does not follow the protocols. But is Elizabeth II really annoyed at Meghan? How is their relationship? Let's dive deeper to find it out!